This is an article about Kingdom Hearts 3's Ventus who's appearing in the Kingdom Hearts series. 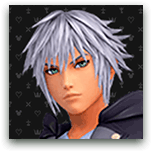 The information includes a quick profile, and his appearance in the Kingdom Hearts games so far. After Kingdom Hearts Dream Drop Distance, Ventus is asleep in the Chambers of Repose and Waking within Castle Oblivion. As Kingdom Hearts 3 counts Ventus as one of the Guardians of Light to counter the 13 Seekers of Darkness, it is speculated that Ventus will awaken from his slumber in Kingdom Hearts 3. Furthermore, in order to wake up Ventus, Sora needs to know where Ventus’ heart is sleeping. Aqua knows the location of the Chambers of Repose and Waking, so it is up to Sora and company to somehow locate Aqua and rescue Ventus. Ventus might also be targeted by Organization XIII, possibly having something to do with Vanitas’ resurrection. Ventus is practicing to be Keyblade Master along with Terra and Aqua in the Land of Departure. Prior to coming to the Land of Departure, he was trying to be used as a disciple of Master Xehanort. However, because his was too pure, Ventus was not a good vessel for Xehanort. Xehanort then pulled out the darkness within Ventus’ heart and left hi in the care of Master Eraqus. While training as a Keyblade master under Master Eraqus, Ventus became close with Terra and Aqua, thus forming a bond between the three of them. 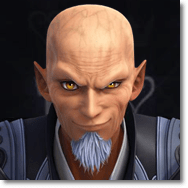 Master Xehanort intended to use Ventus’ body to resurrect himself. However, since he found out that Ventus’ heart wouldn’t work, he intends to use Ventus for another purpose. 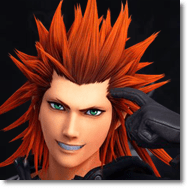 Master Xehanort plans to divide the mind of Ventus into light and darkness in order to produce the X-Blade, which is the key to causing the true Kingdom Hearts to appear. Vanitas is the dark part of Ventus’ heart. In order to grow the pure light within Ventus, he had to journey to the world and train himself to become stronger. Ventus’ training is essential since the X-blade will not form if the light within Ventus is weak. In order to stop the ambitions of Master Xehanort and Vanitas, a decisive battle takes place at the Keyblade Graveyard. However, the X-blade is created by combining the pure light of Ventus and pure dark essence of Vanitas. Vanitas and Ventus fight, Vanitas forcing a D-Link on Ventus in hopes of completing their fusion. However, Ventus prevails over Vanitas, and the X-blade is destroyed along with Vanitas. Unfortunately, Ventus lost his heart after the fight, leaving him in a comatose state. Ventus is closely related to Sora. When the heart of darkness passed from Xehanort, Ventus’ heart became connected with the heart of a recently born Sora. In addition, due to the annihilation of “X blade”, Ventus’ heart tried to vanish. It once again touched Sora’s heart and stayed with it, sleeping within. The heart of Ventus is sleeping in Sora’s heart and Ventus’ body is sleeping in the Chambers of Repose and Waking within Castle Oblivion. This place is known only to Aqua, so his safety is secured for the time being. Ventus still lies asleep in Kingdom Hearts Dream Drop Distance. However, when Sora fell into the abyss of the world of darkness, the armor of Ventus stood to protect Sora’s mind from darkness.